1. Preheat oven to 180oC. Line 2 x 12 hole muffin tins with cupcake liners. 2. Place rice into blender and mill for 1 min. 3. Place buckwheat flour, drained quinoa, millet, almonds, coconut oil, maple syrup, coconut cream, bananas, eggs, cricket powder & spices into blender and blend 2 mins or until smooth. 4. Add baking powder, bicarbonate of soda, salt & walnuts. Pulse blender twice to just combine. 5. 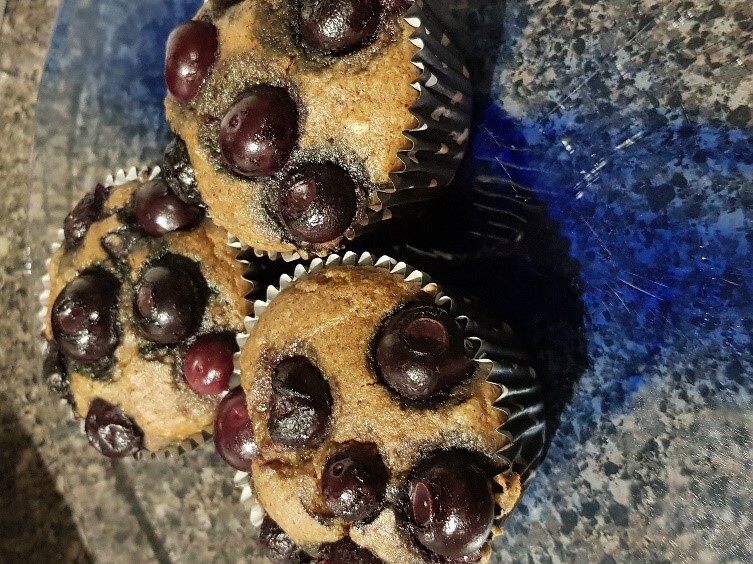 Transfer batter into cupcake cases to ¾ full and top with blueberries. Bake for 20-25 mins until skewer inserted comes out clean. Serve muffins warm.